"It’s about being together," say Leigh Welch and Dabian Marning, owners of Verve Hair. So how did you two meet? At that, Leigh laughs. "At the time, we were both taking a short break from hairdressing and doing different jobs. He was in my lounge room because his flatmate was trying to pick up my flatmate." "And I came over because they had a pool," Dabian chips in with a cheeky grin. Years later, we’re sitting in Verve, just a few weeks before the eagerly-awaited renovations are due to start. 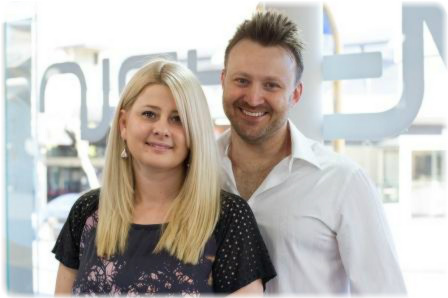 The salon still looks smart, having experienced several makeovers since it opened in 2004, but Leigh and Dabian have been in the industry long enough to understand that large-scale reinvestment in their customers’ comfort and enjoyment is one of the most important aspects of their business. "We’re changing and replacing things that matter to our customers," says Dabian. "Chairs, sinks, visual entertainment, well-being, ambience—the important things."